Hello everyone! It's time for a new issue at Paper Issues: Chalk one up to your own style! 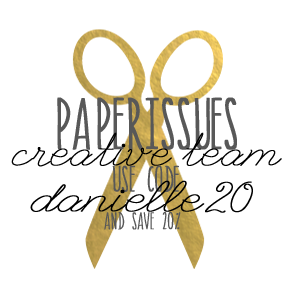 This issue is sponsored by Paper Issues and you can win a $20 gift certificate to the Paper Issues store!! For this issue I designed a cut file and a set of chalkboard printables that you can download for FREE in the Paper Issues store. For my layout I cut out the cut file and used it as a mask on my background with chalkboard paint. 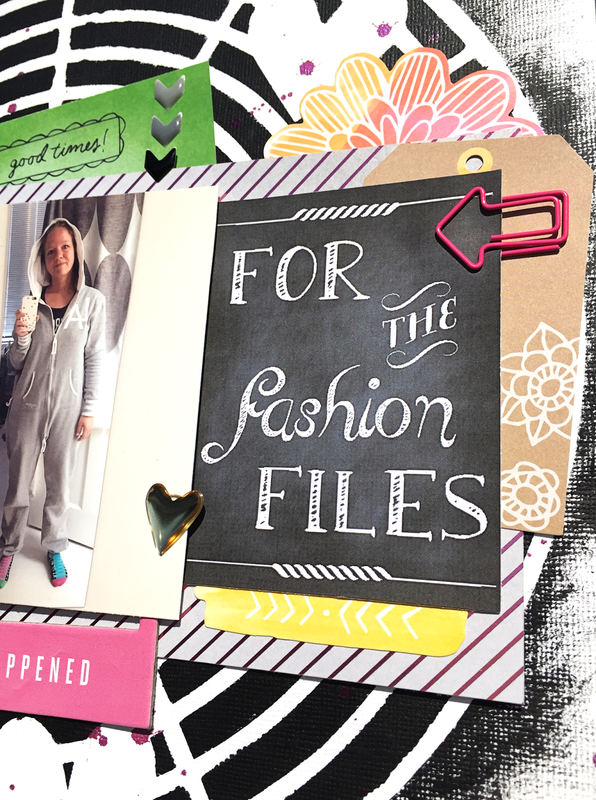 The ' for the fashion files' printable became the title of my page. All papers and embellishments are from the Amy Tangerine Rise & Shine collection. I also added some enamel dots arrows from Doodlebug and a Freckled Fawn arrow paper clip. Now it's your turn to create. 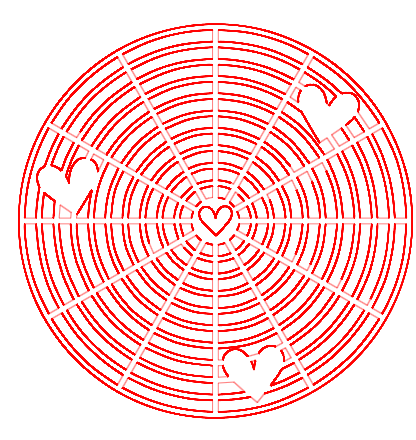 Link up your projects for this issue overhere and you might be our lucky winner of a $20 gift certificate to the store! Also, you can always shop with 20% off when you use code DANIELLE20 at check out!! 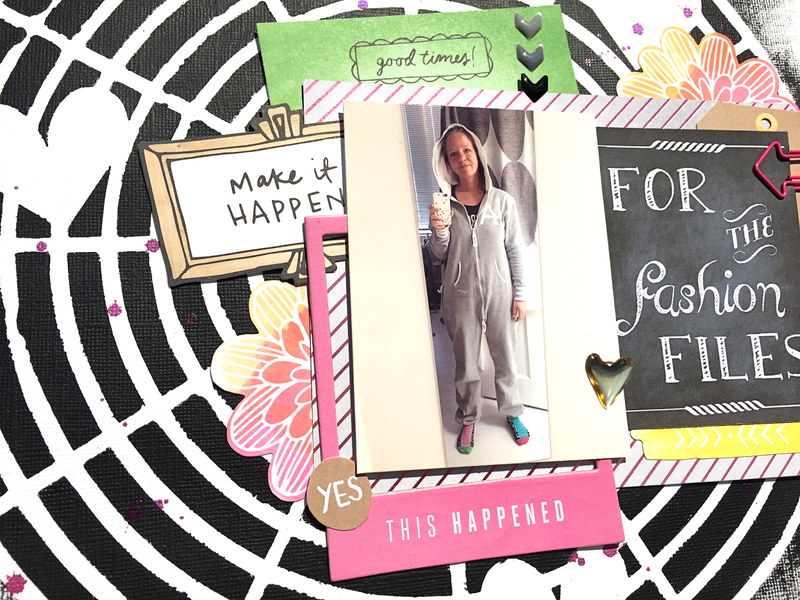 Such a cool layout, Danielle! 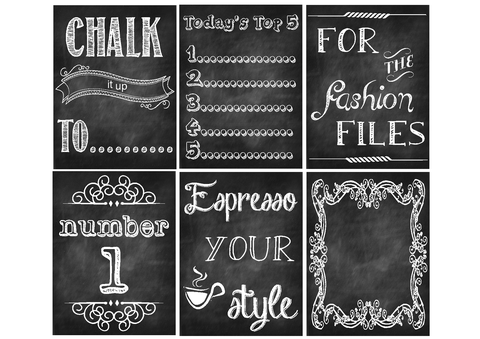 Love how you created the chalkboard effect! This is great Danielle!!! 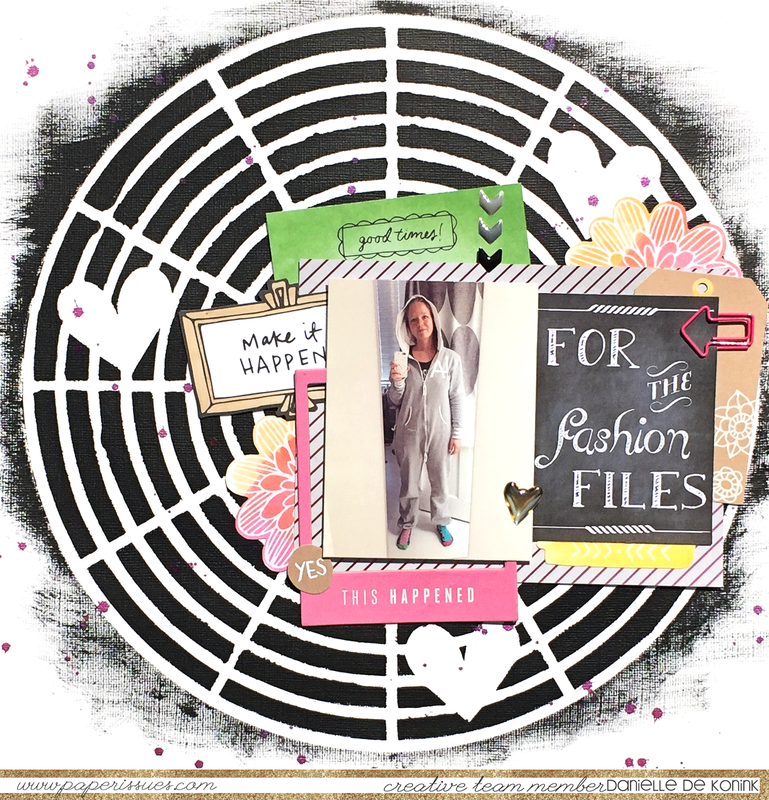 Such a fun layout, & I love the cut file & printable!!!! Lovely layout! Thank you for the cute cut file!